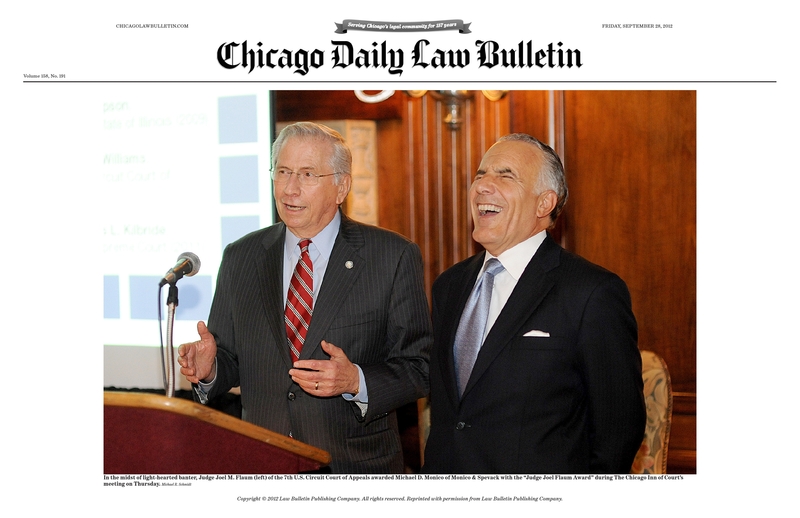 The Chicago Bar Association’s Lawyers Lend-A-Hand to Youth Program has named Michael Monico as the 2014 recipient of the Abraham Lincoln Marovitz Philanthropic Award. Mr. Monico is being honored for his commitment to advancing the legal profession’s positive impact in the community through his charitable work and mentoring of young lawyers. The award will be presented at the Spring Awards Dinner on Wednesday, April 30, 2014 at the Four Seasons Hotel in Chicago. For more information about this event and the Lawyers Lend-A-Hand to Youth program, visit lawyerslendahand.org. Michael Monico has been invited to be part of the faculty for the NACDL’s Ninth Annual Conference on Defending the White Collar Case, which will be held in Washington, DC on October 24-25, 2013. Mr. Monico will be part of a panel discussion by seasoned litigators on the question foremost for trial practitioners: So You Think You Can Dance? — What It Takes to Win At Trial. Information on attending the conference can be found at www.nacdl.org. 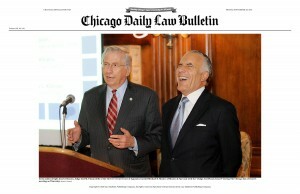 On September 27, 2012, the Chicago Inn of Court selected Michael Monico to receive the Judge Joel Flaum Award. The Hon. Joel M. Flaum, Seventh Circuit Court of Appeals, presented the Award to Mr. Monico at the annual meeting of the Chicago Inn of Court. This award is given annually to an attorney who embodies the principles of the American Inns of Court. Mr. Monico was chosen for his outstanding career as a trial lawyer over the past 35 years, and his dedication and service to both the legal profession and the community. A Past-President of the Chicago Inn of Court, Mr. Monico has been a Master of the Bench for the Inn since 1987. Photo reprinted with permission from Law Bulletin Publishing Company. All rights reserved.